Midway realises that working safely is vital to the ultimate success of our organisation, and our safety obligations include our own employees and also extend to the community in which we operate. 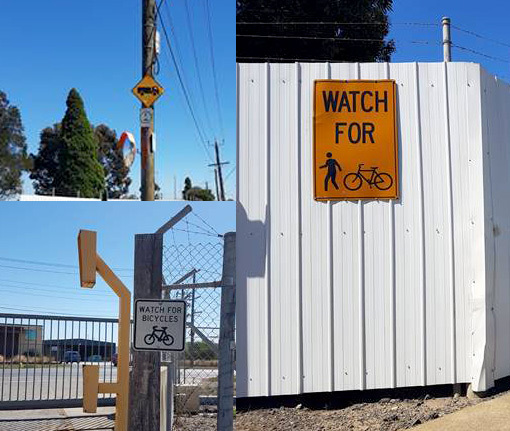 Recently, we have upgraded the main truck exit from our North Shore facility and put in a number of safety controls to help ensure the bike riders cycling on the track around our facility are not put in harms way from trucks exiting our site. The truck passage inside our facility has been upgraded to concrete pavement at a cost of one million dollars, and regular cleaning of the pavement minimises dust and mud carryover to The Esplanade. Convex mirrors and warning signs have been added at all exit points to mitigate the risk of accidents due to blind spots.